WASHINGTON (CNS) — The U.S. Supreme Court in a 5-4 vote Dec. 21 rejected the Trump administration’s request that the court let it implement a rule that those who enter the United States without documents will not be eligible for asylum. A presidential order signed Nov. 9 by President Donald Trump said those seeking asylum in the U.S. would have to present themselves formally at official ports of entry to be considered eligible for asylum. On Nov. 19, U.S. District Court Judge Jon Tigar put a temporary injunction on the rule, so the U.S. Department of Justice went immediately to the high court seeking to get the asylum restrictions reinstated. Voting to allow the asylum rule to be revived were Justices Clarence Thomas, Samuel Alito, Neil Gorsuch and Brett Kavanaugh. Chief Justice John Roberts joined the four remaining justices in voting to keep the hold in place as the issuemakes its way through the lower courts. Some days after Trump signed the order in November, several Catholic leaders said his action was directly contradicting existing U.S. law on the matter. “While our teaching acknowledges the right of each nation to regulate its borders, we find this action deeply concerning,” the leaders said in a joint statement. Reiterating that it is not a crime to seek asylum, they urged the administration to seek other solutions to improve the U.S. immigration system. The Nov. 14 statement was signed by Bishop Joe S. Vasquez, of Austin, Texas, chairman of the U.S. Conference of Catholic Bishops’ Committee on Migration; Dominican Sister Donna Markham, president and CEO of Catholic Charities USA; Jeanne Atkinson, executive director of Catholic Legal Immigration Network; and Sean Callahan, president and CEO of Catholic Relief Services. This policy “will restrict and slow access to protection for hundreds of children and families fleeing violence in Central America, potentially leaving them in unsafe conditions in Mexico or in indefinite detention situations at the U.S./Mexico border,” the Catholic leaders said. Trump issued the order on asylum ahead of the arrival of a caravan of thousands of people from Central America who were traveling north for weeks to seek asylum in the United States. 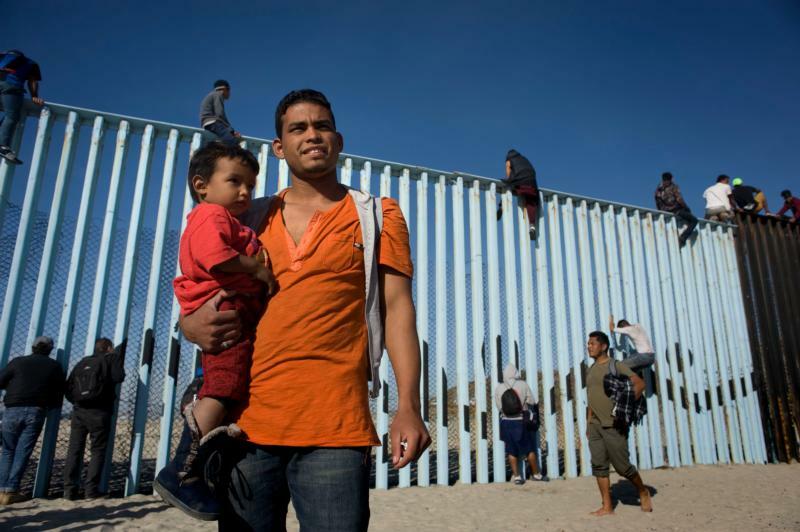 By mid-November, about 350 Central Americans had arrived in Tijuana, Mexico. To date, there are about 6,000 people now there who are hoping to get into the U.S.